Doesn't matter if it is a Flying Squirrel or a Jolly ball. 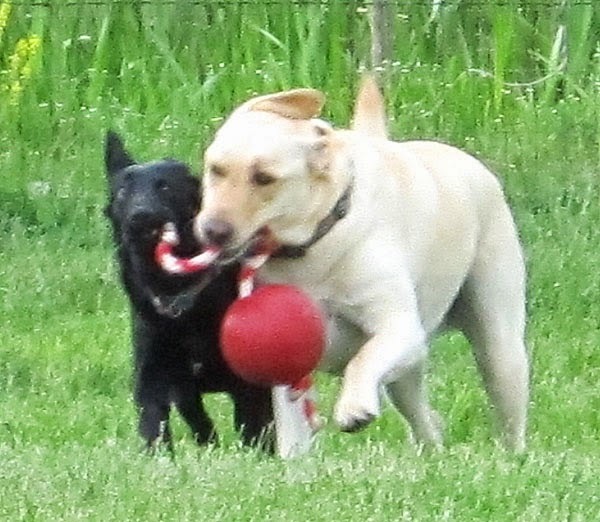 Rosie and Rudy believe in tandem retrieving. How cute is that? 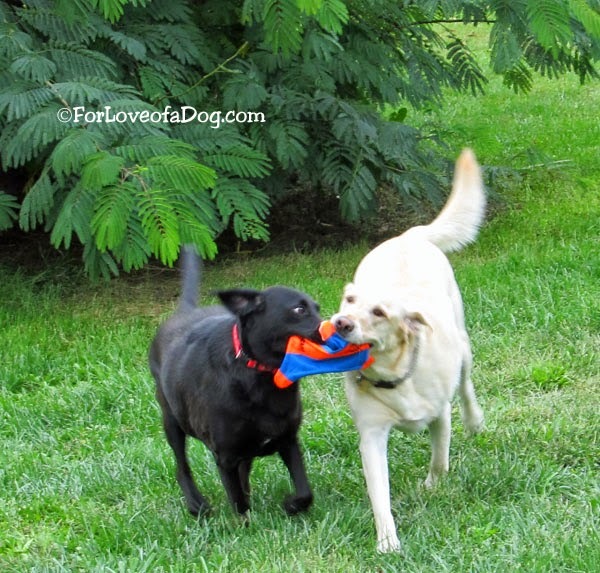 Bailie and I fight over good sticks, but we don't share them usually. There's nothing as good as team work. Adorable pictures. So cute! Love Rosie's wild-eyed look in the 2nd one!